Elevate your special night with Zip KC’s Proposal & Anniversary Tour Packages! Are you ready to take the big leap with your love? Propose to your sweetheart at Zip KC! We will help you plan a romantic zip surprise so you can pop the question – on a zip line! 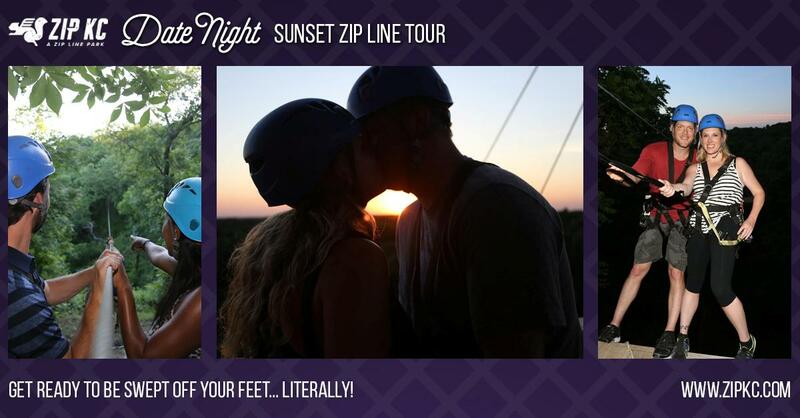 Zip into the sunset with your forever love on our Sunset Date Night Tour, and take your relationship to even greater heights! Perfect for Anniversaries too! Email [email protected] for more information on our Proposal Packages or call 913-214-9478 and ask for Jen. Click HERE to check out our Sunset Date Night Tour!